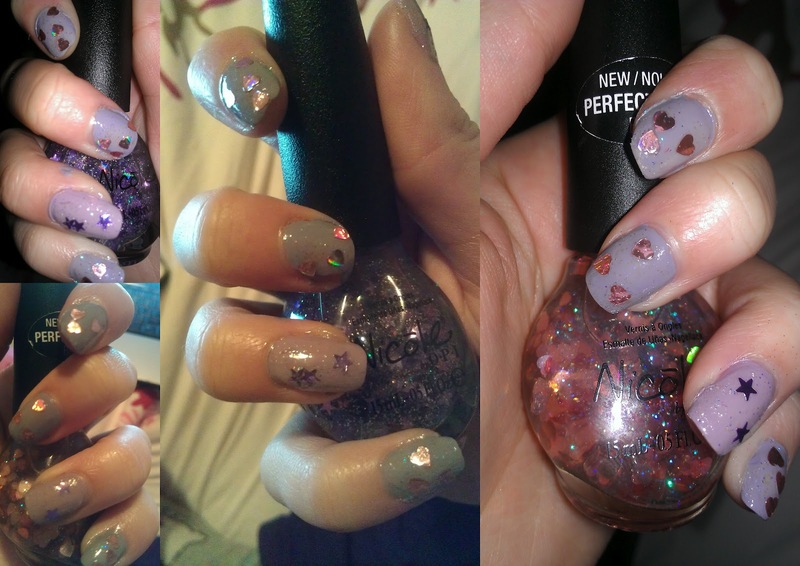 ~ Nicole for OPI Let's get star-ted! I totally love the Nicole for OPI collection I couldn't choose which one to buy, so I went for pink hearts and purple stars. Next time I will probably also buy the blue hearts. The only thing I don't like is that it has way to much nail polish and way less hearts or stars. If you would apply it like a regular nail polish it would give you 80% of the times a clear nail polish layer with no hearts/stars than with. I actually had to fish the glittrs out and depp them on. But as soon as it's on your nails it looks fabulous ! I payed €11,95 for the nail polish.